On a trip up to Derbyshire for my Granny’s 90th, Ollie and I spent half a day mooching around Manchester city centre. After searching online for independent shops, we found there is a great vintage scene with lots of shops on Oldham Street. Our favourite was We are Cow, who have another shop in Leeds and are on ASOS Marketplace. They sell vintage clothing as it is or reworked by their in-house seamstresses. The shop itself was designed by Peter Masters who used locally salvaged materials like old door frames and pipes in the fit-out. The quirky objet d’art, like worn doll’s houses, suitcases and a light display using old jars, and the 90’s classics playing in the background make you feel like you’ve been taken back a few decades and get you in the perfect mood to play dress up. 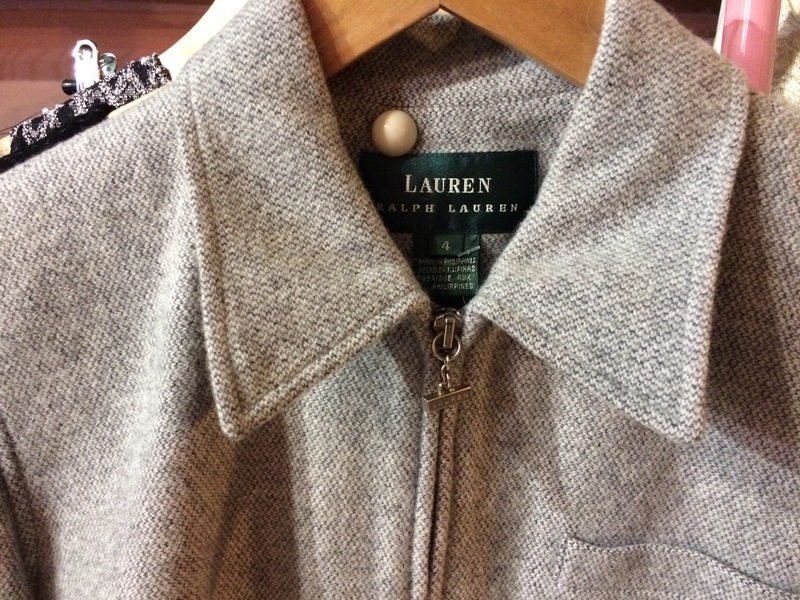 I found this beautiful Ralph Lauren wool jacket with elegant details like the zip charm (photo below). It’s quite a simple, classic style that I know I’ll wear time and time again. It’s also in excellent condition so I know it’ll last. 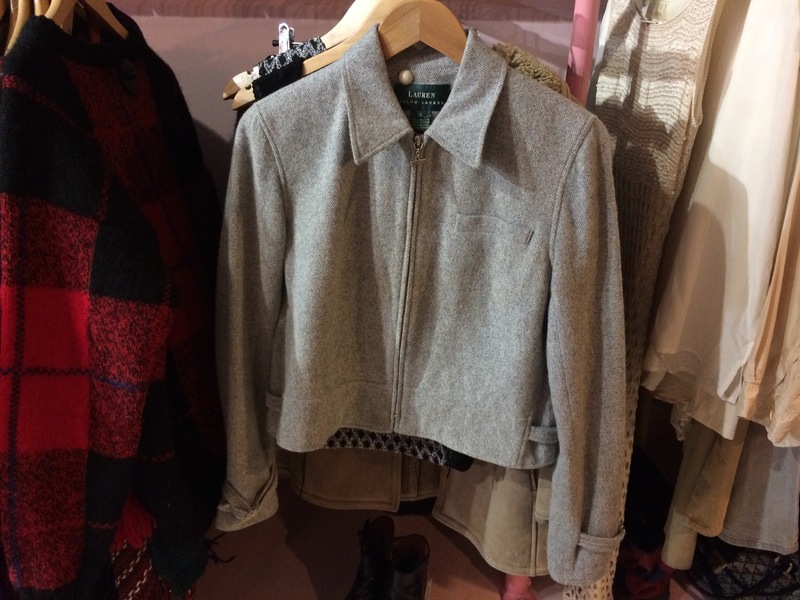 Vintage or second hand clothing is a great way to get high-quality pieces at low prices. It’s also inherently more sustainable than buying new as you’re keeping materials from entering landfill. It helps to extend the lifespan of someone else’s unwanted item, reducing it’s water, carbon and waste footprint. WRAP found just 9 months of extra active wear can reduce the environmental footprint of a piece of clothing by up to 30%! Buying vintage is also a great way to see how durable an item is. If it was made 20 years ago and is still in excellent condition, you know it was made to last. This is so important in the current climate when we are surrounded by throwaway fashion designed to last just a few wears so you go back an buy another piece the next month. All that vintage browsing built up our appetites so we asked the super stylish ladies in We are Cow where to go. They recommended Bundobust, an all-vegetarian Indian restaurant that serves small plates for sharing. They have an extensive range of craft beers, some from local breweries in Manchester. The decor has a very industrial feel, with recycled wood seating, worn metro tiles and a huge skylight. Dishes are served on vegware plates, which is completely compostable. We ordered 5 dishes to share (okra fries, biryani bhaji balls, vada pav, massala dosa and the tarka dhal) and it was delicious! I think my favourite was the Masala Dosa because I’m slightly potato mad. Well worth a visit if you’re in the Northern Quarter – but be careful not to miss it, it’s currently hidden behind some scaffolding with pinky-purple railings out the front. What do you think? 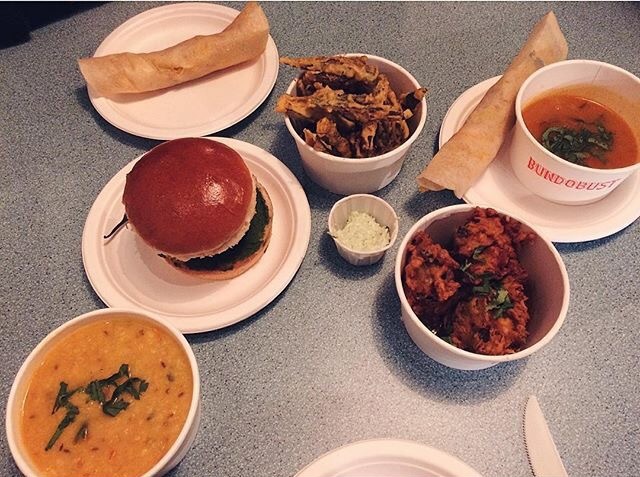 Have you been to We are Cow or Bundobust? Where are your favourite spots in Manchester? Previous What is an “eco” yoga mat and where can I get one?